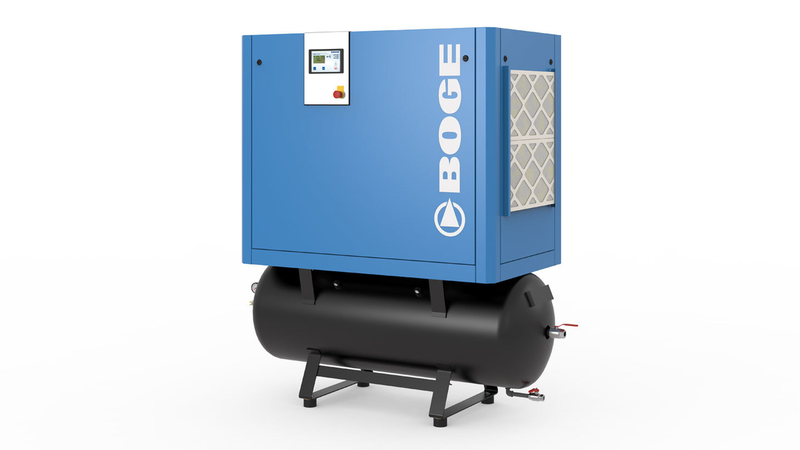 The new C-2 series is the evolution of the C-series from BOGE, which incorporates all the feedback collected from our customers and dealers. The design of the entire series has been standardised, with the emphasis on ease of installation and maintenance as well as ergonomics. The controls have been built into the front plate or are available in a slanting upward version, depending on the container option. Furthermore, with the new generation there is also an extension of the options available. The compressed air station can therefore be adapted precisely to the requirements of the customer, thereby retaining its consistent design, and is space-saving, small but nevertheless stable and reliable in operation. The C-2 is identical in design in all output ranges - from 2.2 to 22 kW - and is only scaled in size in accordance with its power. Different performance optimisations ensure maximum efficiency.